Some grow on the ground and some are the roots. They all have fibre which is good for my tummy. 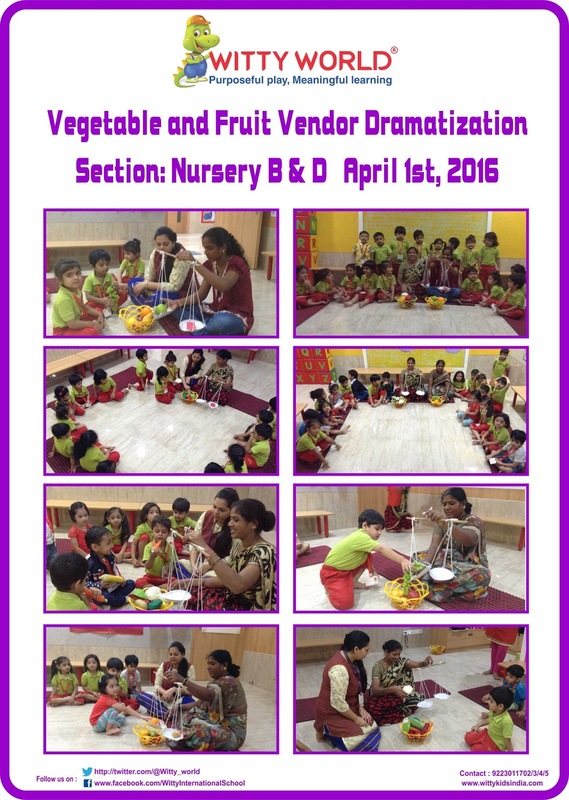 Learning becomes fun when we add a touch of practical experience to it. 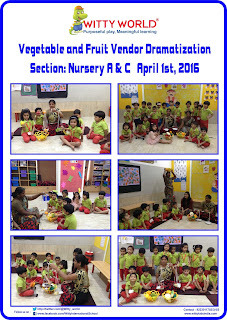 Keeping this in mind, the teachers of Witty World, Nursery section, organised a dramatic play for the little Wittians on the 1st of April, 2016, Friday. 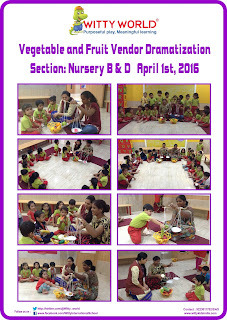 Through this dramatisation, the children got to understand the concept of Vegetable and Fruit Vendors. 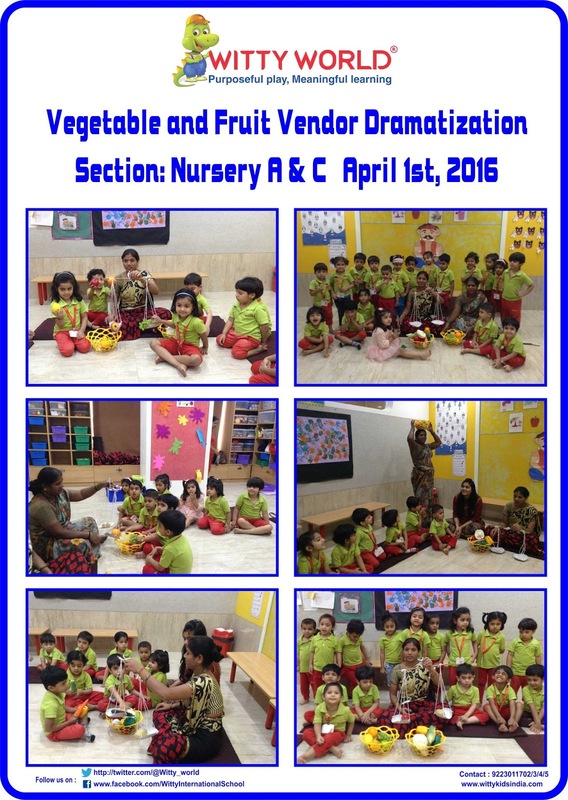 The teachers stimulated the curious little minds of the children by explaining to them ,and making them experience the entire process of buying vegetables and fruits from the vegetable and fruit vendor. The children had a great time and were completely engrossed in the act.